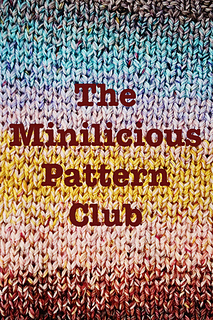 Thank you for considering joining in the Minilicious Pattern Club … here is some important information you will need to know. The Club will be aimed at Advanced Beginners/Intermediate knitters. The patterns will all be accessories and include a range of interesting stitches, including Garter st, Fishermans Rib (Faux Brioche), Short Rows, Mosaic Knitting Techniques & Cables. Additionally the patterns will have notes on how you can use different yarns (as in if you wanted to use regular sized skeins or scraps instead of dedicated mini skeins) in the pattern and what modifications / adjustments you need to do in order to do that. The 4 Mini Skein themed patterns will be released on the first of each month starting in May until August. However, please be aware if you purchase the Waffle Cowl pattern on its own and then decide to join the club there is no additional discount. The club is already heavily discounted and as the Christmas pattern is a free bonus pattern with the clubs I will not be providing any additional discount codes etc to anyone who decided to purchase that pattern on its own. There will be a KAL running from when the preorders start until the 24 September 2019 … there will be a single chatter thread and a FO thread for the club, winners will be selected at the end of the KAL. All patterns will be priced from £4.50-£5 each once released for individual sale in September 24th 2019 and percentage savings shown is based on how much you would save compared to if you were purchasing all patterns individually. Please note prices shown here are excluding VAT, Ravelry automatically adds VAT to the purchase price if the country you are in requires VAT to be paid. 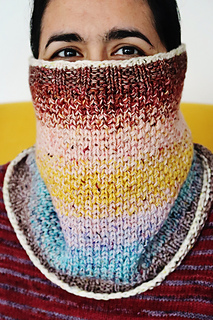 The full value of the Club is £19 if all the patterns were purchased separately (not including the £4.50 for the Waffle Cowl pattern – this is an additional saving on top of what is shown below). Please let me know if you have any further questions in the comments below.